Kim Hyung-Soo (born December 30, 1981), better known by his stage name K.Will is a South Korean ballad singer, dancer, composer, and actor. K.Will first became known in South Korean through his single called "Dream" in "A Love to Kill" OST, released in 2006. A year after his single and 5 years after as a trainee and a vocal guide, he released his first album "Left Heart" in 2007. Then, after two years, he came back with a successful single, "Love 119," in December 2008. This was followed by a mini album "Dropping the Tears" in April 2009 and his second (and latest) album "Miss, Miss and Miss" in November 2009. K.Will has a great deal of collaborations and drama soundtracks to his name, and can even rap and dance. K.Will loved singing since he was little, and he began by singing along with his mother while she was playing the guitar. He has even been kicked out of a class once, because he was humming in reading class. After graduating from high school, he finally determined that he was going to become a singer, and told his parents. However, they opposed that idea and tried to compromise with him so that he could do music along with another work. It was too difficult for him to do two jobs at once, so he decided to just do music. K.Will participated in lots of auditions and looked for potential composers to be able to sing more. When he was a trainee, he would do anything to sing, such as performing at street concerts, singing backup, or singing the chorus for more famous artists. During that time, his friendships with today well-known artists - 8Eight, Lim Jeong-Hee, SG Wannabe, Sweet Sorrow, etc. started. During his work as a vocal guide (guide vocalist), K.Will also was part of an amateur a cappella group and performed at street concerts around the country for two years. K.Will is frequently mistaken as the songwriter for TVXQ's "Hug" and it was clarified by an interview on KBS World. When K.Will was helping Rain produce his second album, he was noticed by Park Jin-Young, an influential producer in the Korean music industry. Park Jin-Young wrote and composed the title track of K.Will's first album "Left Heart". K.Will's first album, titled "Left Heart" was released on March 6, 2007. Though "Left Heart" is noted as K.Will's debut album, he had already got a debut stage before with Lim Jeong-hee (Street Dive also known as J-Lim) in the year 2006. During this time, streaming videos of K.Will singing some of Mariah Carey's songs surfaced. K.Will sang Without You," "My All," and "I Still Believe". He performed them so well that he ended up getting the name "Male Mariah" in Korea. Soon more videos surfaced, notably of him singing the high notes in Celine Dion's song "My Heart Will Go On" from the movie Titanic. On December 2, 2008, K.Will released a digital single "Love 119". The single achieved #1 on online charts and ranked #2 on the KBS Music Bank K-Chart without any promotions. Thanks to the popularity of "Love 119", K.Will released a mini album titled "Dropping the Tears" on March 31, 2009. His deep, husky and beautiful voice made the song full of emotion and it also reached #1 on online charts, though at a slower pace than "Love 119." He also worked with two members of Girls' Generation, Yuri and Tiffany. Yuri appeared in his "Dropping the Tears" music video while Tiffany sang a duet with him called "Girl, Meets Love". During the album promotions, Lee Min-Ho, the lead actor of KBS Boys Over Flowers, asked K.Will for vocal training. Thanks to K.Will's help, Lee Min-Ho was able to sing the song "My Everything". Not long before ending the mini album promotions, K.Will surprised many with his versatility. He did a special stage with Outsider the fastest rapper in South Korea, and K.Will rapped almost as fast as him. Because of the popularity of the Brilliant Legacy OST (in which he participated), he was invited to join the "Korean Music Festival 2009" in Japan, along with T-Max and Jo Sung-Mo. He made his debut in acting in the "Soul Special: Music Drama" where he worked with Han Hyo-Joo. The drama "Soul special" was a revolution in the entertainment business since all episodes were only released online. In October 2009, a few weeks before the release of his second album, K.Will was diagnosed with the H1N1 virus. Though he recovered in less than a week, his second album was postponed until November 5, 2009. His title track, "Miss, Miss and Miss" was a moderate success and reached its peak at #8 on the KBS Music Bank K-Chart. He also collaborated with Outsider in this album, after their success during the summer. However, their song, "Hypnosis" was banned by KBS because it contained the word mute. This was unfortunate as Starship Entertainment had planned to promote this song after "Miss, Miss and Miss". K.Will is also a dancer, and as a result, netizens name him as a multi-talented artist. On December 25, 2009, (Christmas Day) K.Will held his first solo concert. Tickets sold out faster than any other solo artist. 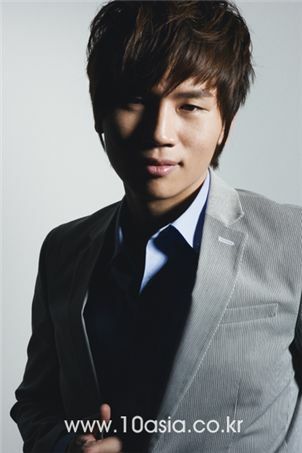 K.Will debut in U.S.A. on "THE THREE ROMANTICISTS" concert along with Kim Bum Soo and Yoo Seung-Chan on March 5, 2010. His new single titled "Present" was released for this spring on March 10, 2010 and achieved #1 on many online music charts. When he released his first album, he got a lot of compliments from today's superstar Rain, who said "I believe he's one of the best vocalists of 2007." and "K.Will has a voice that I really like. His talent is amazing, plus he has even refined it for such a long time. He exerts himself incessantly." Rain's mentor and songwriter Park Jin-Young once mentioned "People say the songs I wrote are really difficult for other singers to sing in their own style, as they have too much of my personality. But "Left Heart", people don't even know that it's my song because K.Will perfectly interpreted the song in his style." He also said "This is the perfect singer which I'm looking for." * 2007 Top Rookie Singer Award: TV Writers Association. * 2009 Photogenic Awards: The 10th Korea Visual Arts Festival. * 2009 Top 10 Artists: The First Melon Music Awards. * 2010 Male Ballad Singer Award: The 16th Republic of Korea Entertainment Arts Awards.